Initial symptomatic management aimed at reducing oedema and treating seizures in brain tumour patients, at an appropriate dose and for an appropriate duration, will produce more benefits than harms. Surgery can be associated with immediate or occasionally delayed complications in about a third of cases, but slow recovery then occurs in two thirds of these patients. Radiotherapy may produce early toxicity, related to temporary worsening of oedema or demyelination in one-third of patients. In survivors from brain tumour, “late” side effects from radiotherapy are inevitable; these start from 6 months after radiotherapy but increase in frequency and severity with duration of survival and are related to vascular or degenerative pathologies. Chemotherapy produces immediate dose-related temporary side effects and gradually cumulative late toxicities with increasing numbers of courses. Multi-system cytotoxicity involves the bone marrow, muco-cutaneous system, liver and kidney, and occasionally peripheral nerves and lungs. Immunotherapy, whether cell-based or antibody-based, has a more systemic autoimmune profile associated with elevated levels of pro-inflammatory cytokines. Care must be taken to predict the risk and prevent or minimise the extent of acute and late toxicities, as these may not only result in lifelong disability, but also occasionally in death. Late side effects (e.g., fatigue, cognitive difficulties, personality change and mood problems) are often multifactorial. Identifying acceptable levels of risk, withdrawal of a causative drug, replacement of a deficient hormone, and management of treatable factors, seizures, anxiety, depression, sleep, drowsiness, cognition and fatigue will all help. 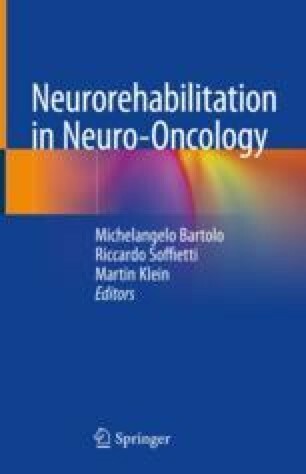 Neuro-rehabilitation and neuro-cognitive rehabilitation should be established as early as possible after treatment. Day J, Yust-Katz S, Cachia D, et al. Interventions for the management of fatigue in adults with a primary brain tumour. Cochrane Database Syst Rev. 2016;(4):CD011376. https://doi.org/10.1002/14651858.CD011376.pub2. Chung C, Brown PD. Interventions for the treatment of brain radionecrosis after radiotherapy or radiosurgery. Cochrane Database Syst Rev. 2015;(1):CD011492. https://doi.org/10.1002/14651858.CD011492.